I have been seeing so many button practicing boards floating around on Pinterest and other websites. I have always thought they were a great idea. 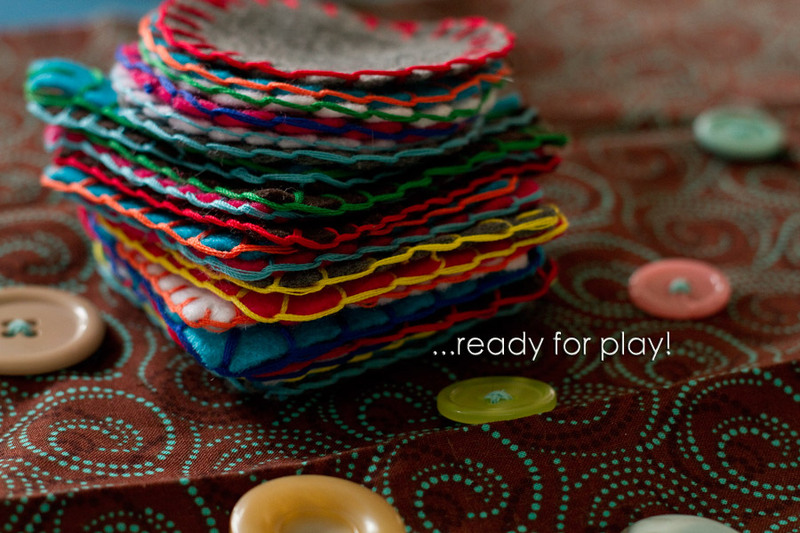 They are bright, colourful, inviting, and great for learning an important fine-motor skill. But one thing kept me from making my own. Storage space. Where the heck was I going to put ONE more thing in this house?? 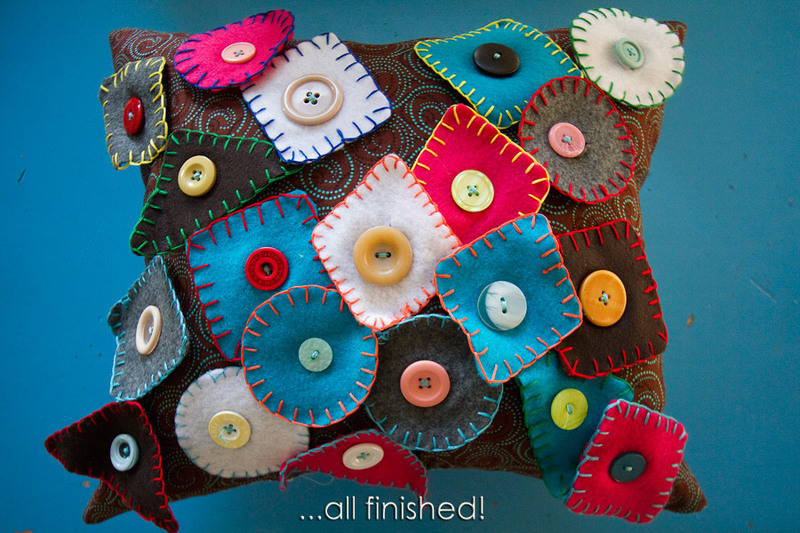 And so I built a button practicing pillow instead. I love pillows. I buy pillows when I don’t need pillows. I have a problem. But who can resist? They look so pretty on beds and couches…even the reading corner! And if my kids are going to learn something from a pillow? Well, that’s just a great excuse to have another one lying around! Hehehehe! Start by choosing your fabric and cutting it into the size you want. My fabric pieces were 14″x16″ before sewing. Once you’ve got your fabric cut, start placing your buttons (which I found in junk sales, my scrapbook stash, and dollar stores). There does not need to be any rhyme or reason to button placement. 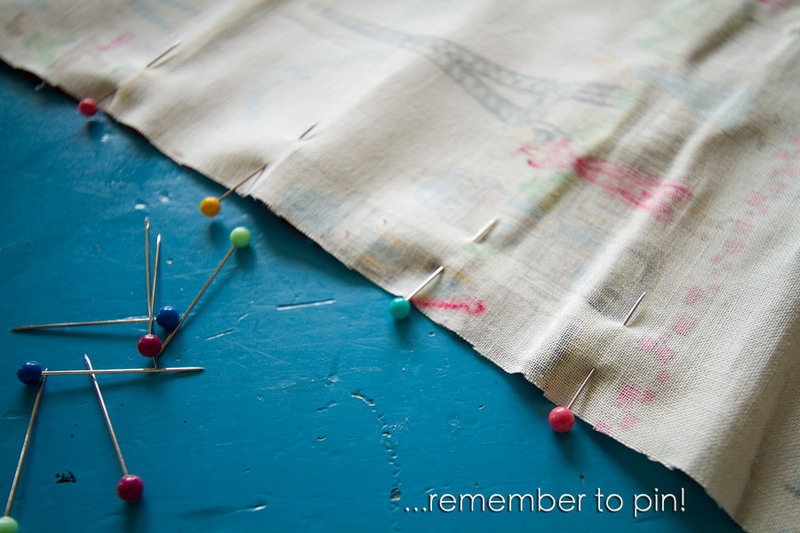 Mark your places with a fabric pencil or chalk and then start sewing! This part is not fun, I’ll tell you now. But it will be over soon, I promise! 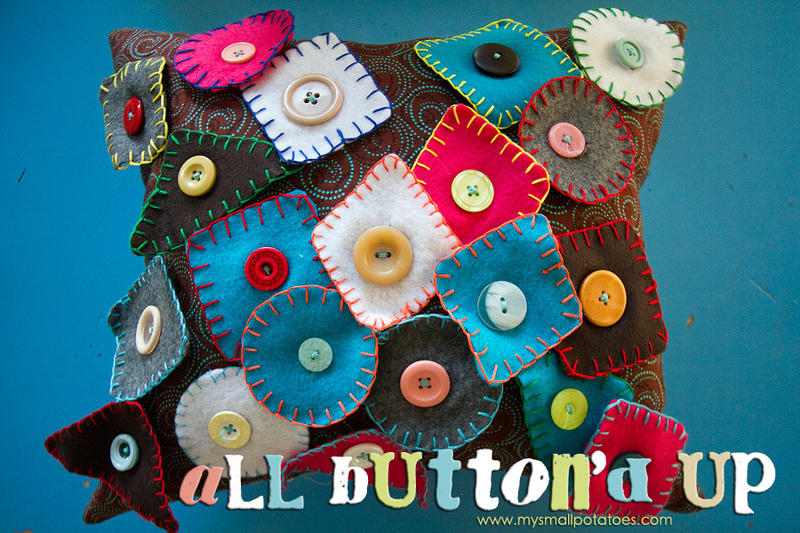 Once you’ve sewn all your buttons on, you can get to sewing it all together. 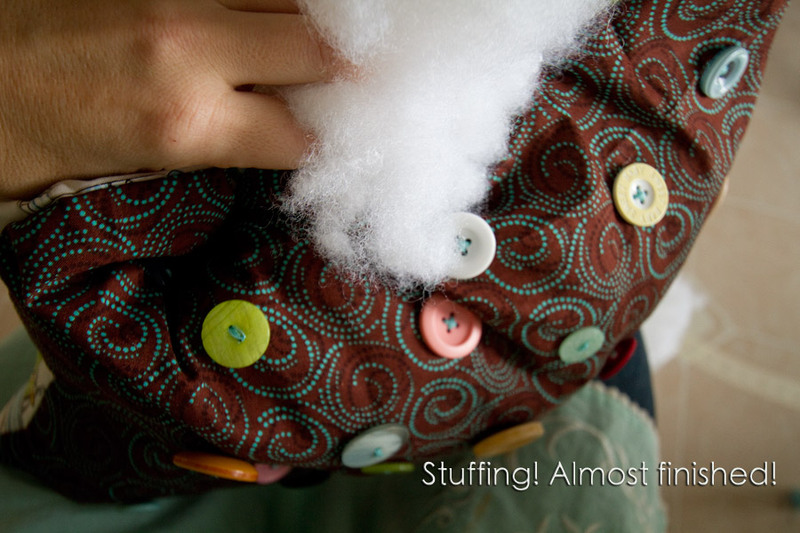 Place your fabrics right sides together, (so buttons are on the inside), and pin the 2 layers together. 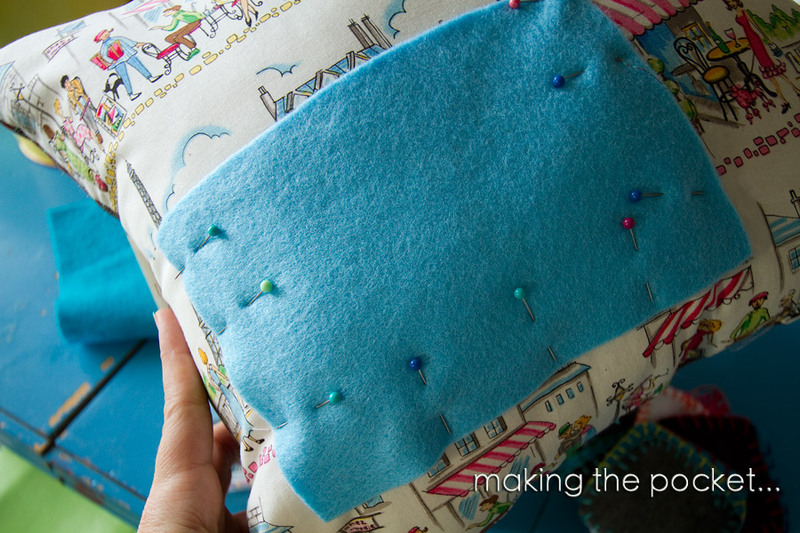 Close up the bottom of your pillow using a slip stitch. Click here for a tutorial on that stitch. 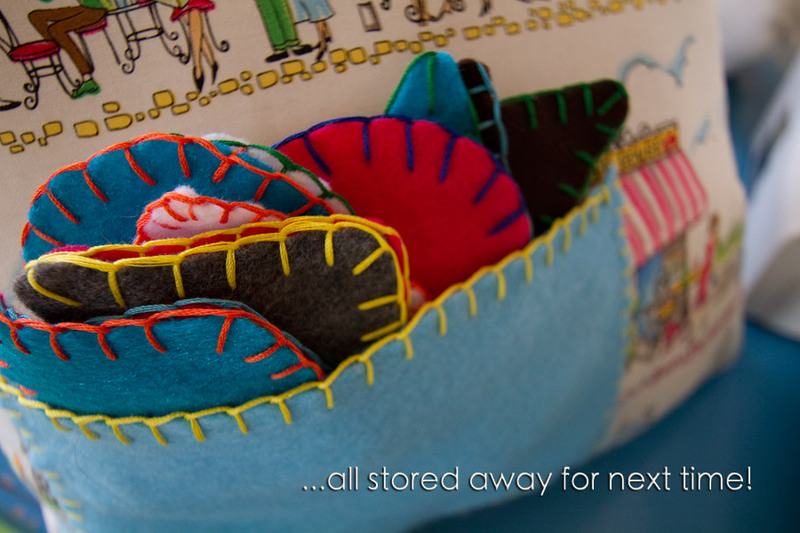 You can skip the first 3 photos, as you will already have an open seam, you will not need to remove stitches. Now that you’ve got the pillow sewn and stuffed, you can get to the business of making shapes! 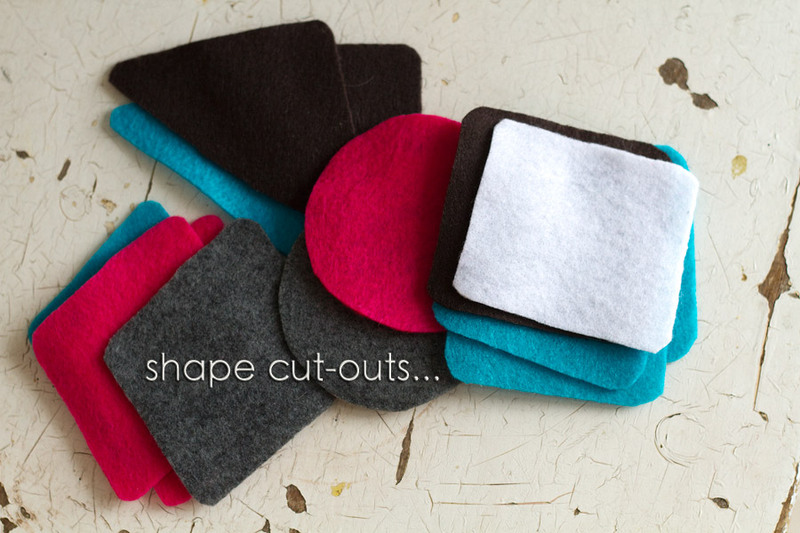 Make yourself some paper templates in the sizes you’d like so you can trace them on to felt pieces and cut them out! Cut the pocket out of felt in the size you would like. Mine is 7.5″x5″. I blanket stitched the very top edge and then just stitched the pocket to the pillow with a simple in and out stitch! Nothing fancy! The blanket stitching on the top edge of the pocket was an afterthought for me. 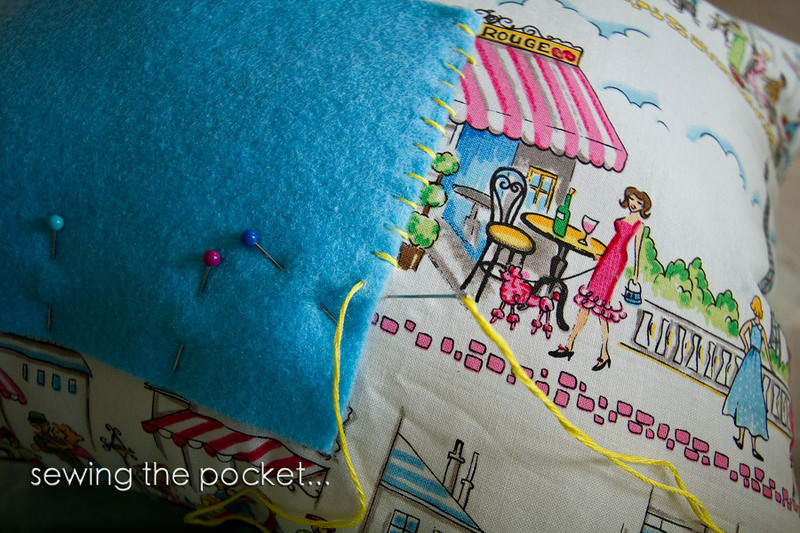 It would have been waaaay easier to do BEFORE sewing the pocket to the pillow! Now my smalls can practice their buttoning skills, and I have a new and adorable pillow. It’s a win/win! i am floored with how awesome this is! I immediately put it on my classroom diy list. sigh. i have too many things i want to make. Thank you again!